Dr. Yvette Chua leads our team of experienced professionals. She strives to improve her technical skills, interpersonal communication, and interaction. 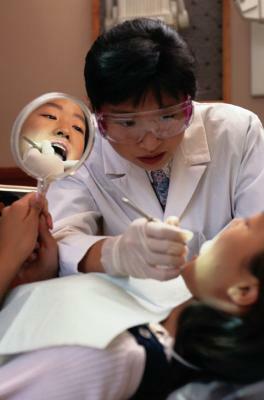 Dr. Chua is excited about what she is doing and is motivated to achieve the highest standards of quality and integrity. She believes patient care should be comprehensive, courteous, and responsive to individual needs and preferences. Our staff is committed to providing you with excellent service that extends beyond your office visit. We will routinely give you information about the office and keep you informed on how to take better personal care of your teeth. We will also contact you to see how you are doing and to remind you of upcoming visits. Dr. Susana Chua graduated from the University of the East in 1966. She first practiced in the Philippines, then moved to San Francisco and has been practicing here for 16 years. Throughout her career, she has continued to improve her craft by taking several continuing education seminars every year. She is a member of several dental associations, such as the American Dental Association, California Dental Association, San Francisco Dental Association, Academy of General Dentistry, and others. Besides Dr. Susana Chua's extensive experience and caring nature, she is multi-lingual, able to speak Tagalog, Ilocano, Chinese, and Spanish. As a member of the American Academy of Cosmetic Dentistry, Dr. Derrick Chua continually learns about the latest techniques in aesthetic dentistry. He is also a member of the American Dental Association and the San Francisco Dental Society. He is a graduate of Bowditch Middle School, San Mateo High School, University of California, and the Temple University School of Dentistry. Dr. Derrick, his wife and baby son live in the San Mateo/Foster City area. In his spare time, he enjoys playing tennis, mountain biking, and reading.